Situated in the Northern Europe, Denmark is the smallest Scandinavian country, which is known for its strong welfare state and mixed capitalist economy. Denmark is distinguished as the egalitarian society that has welcomed tens of thousands of immigrants over each year. Denmark immigration is opted by most of the business people due to its lucrative and flexible labour market. Its high standard of living, advanced educational standards, low crime & unemployment rate, and beautiful locations has made Denmark, the most sought after destination for immigrants. Denmark Immigration department has designed many schemes to attract skilled workers to the country. Denmark Green card is one such scheme which is designed for the sake of easing procedures for workers to enter the country. 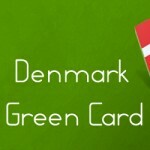 Danish Green Card scheme issues residence and work permit for individuals who wish to reside and work in the country. To be eligible for Danish Green Card scheme, applicants need to qualify in Denmark Green Card point’s calculator by scoring at least 100 points. Denmark Green Card points calculator is a point based system in which points will be allotted based on certain factors such as age, work experience, educational level, language proficiency, and nature of adaptability. However, each of these factors has different criteria to be met by the Denmark Green Card applicant. For example, to gain points for education, the applicants must possess minimum a Bachelor’s degree followed by one-year Master’s degree and for language requirements the applicants need to be proficient in Danish language. Aside from qualifying in Danish Green Card points calculator, Danish Green Card applicants need to have full health insurance coverage for themselves and their dependent family members. They need to hold sufficient funds to meet their expenses and their family members during their stay in the country. Denmark Green Card points calculator, Denmark Greencard, Denmark Immigration, Migrate to Denmark Denmark Green Card, Denmark Green card Points calculator, Denmark Green Card requirements, Denmark Green Card Scheme, Denmark Immigration, Immigration to Denmark. permalink. How to migrate to Denmark through Denmark Family Immigration?